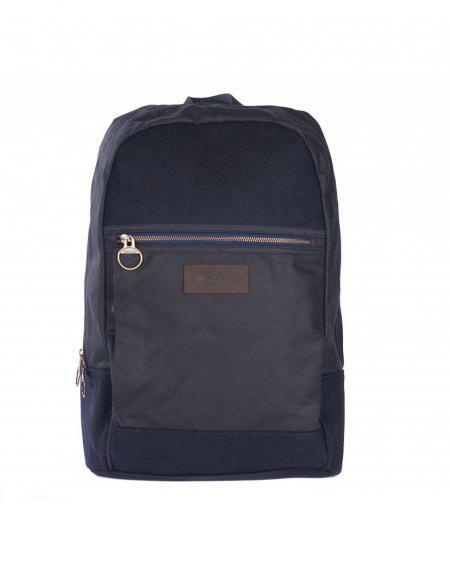 Barbour Carlton Nautical Wax Cotton Backpack in Navy. Functional backpack with Melton wool & waxed cotton fabrics. Multiple pockets including interior laptop storage.SALE!